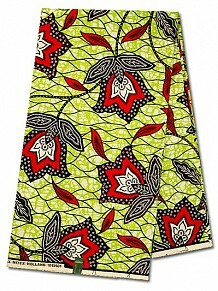 Fashion fans may have noticed that African wax print fabric is receiving major attention from designers across the globe. People from West Africa and Nigeria have been wearing bright, geometric prints for hundreds of years but only recently has the striking cloth permeated popular culture at an international level. These days, colourful wax prints can be found everywhere from the catwalk collections of Paul Smith and Kenzo to high street stores like H&M – but nothing beats buying a traditional, high-quality wax print fabric and creating your own bespoke garments at home. Did you know Mali’s brocade is widely-regarded as the finest dyed cloth in the whole world? Gorgeous rich colours and striking patterns on prints like our Supreme Bazin certainly demand attention, so it’s no wonder they’re used for creating stunning occasion wear! If you’ve got a wedding or graduation ceremony marked on your calendar for 2016, a beautiful Supreme Bazin maxi dress or summer-suit is sure to make you feel extra special. 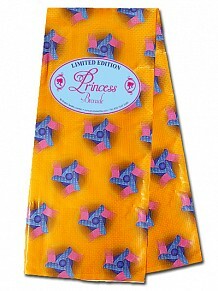 Like all elements of fashion, brocade-wearing follows trends. The key colours for 2016 include vibrant shades of bubblegum pink, coral and melon. Jewel tones also remain relevant this year, so why not choose a wax print fabric in a bright ruby or bold emerald for your party wear? Although they are more commonly associated with formal wear, West African wax prints are also increasingly the fabric of choice for casual clothing pieces. Gwen Stefani and Beyonce are two celebrities noted for their fondness for West African wax print – these two fashion icons are often photographed in crop tops, shorts and over-sized T-shirts in beautiful geometric designs. Now wax prints are sought after by young people all over the world who want to make a bold statement with their everyday fashion choices. On the catwalks for S/S 2016 we saw clean lines with a sporty twist. The quality and beauty of our prints speak for themselves, and our Mitex Holland Gold Wax design is perfect for creating gorgeous urban pieces such as crew neck jumpers for men or sporty circle skirts for women. Whatever West African wax print you choose to wear in 2016, our authentic designs will ensure you turn heads for all the right reasons!